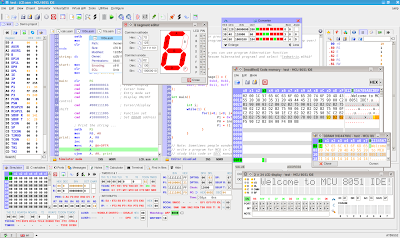 MCU 8051 IDE is integrated development enviroment for microcontrollers based on 8051. Supported programming languages are C and assembly. It has its own assembler and support for 2 external assemblers. For C language it uses SDCC compiler. This program is intended for Linux systems, other POSIX systems and Microsoft® Windows® system. There are packages for various Linux distributions (.RPM , .DEB and .ebuild) and an installer for MS Windows®. HW programmer supports 8 ISP programmable MCUs from Atmel (AT89Sxx, AT89LSxx). 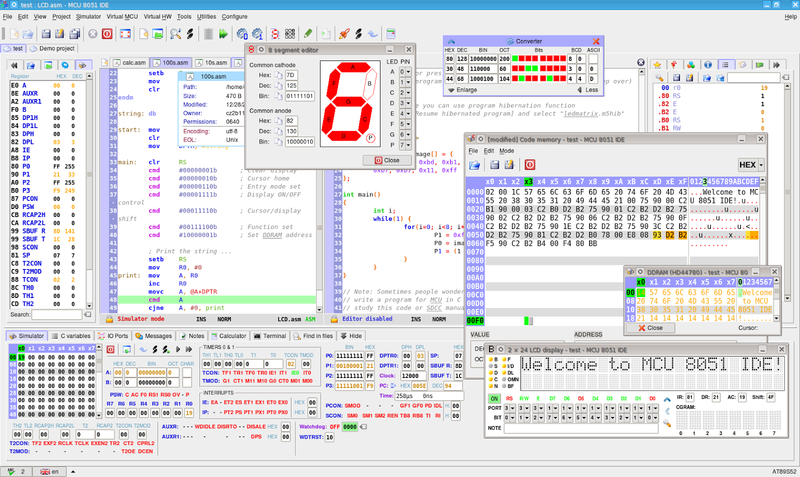 There is also support for simple hardware simulation (like LEDs, keys, etc. ).